Flik Flak is the world’s favorite children’s watch. 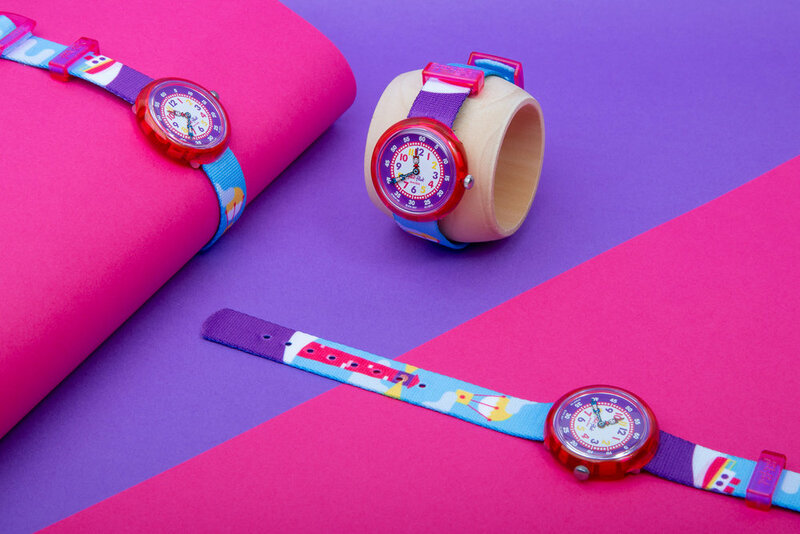 Since 1987, Flik Flak creates Swiss made watches for kids that help them to learn to tell the time with a fun and entertaining concept. I was honoured to be invited to design one watch for their 2018 collection called "Going on a trip".